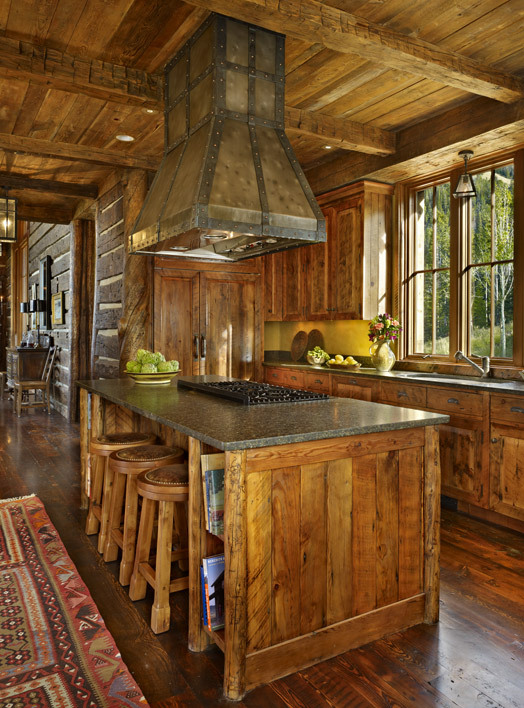 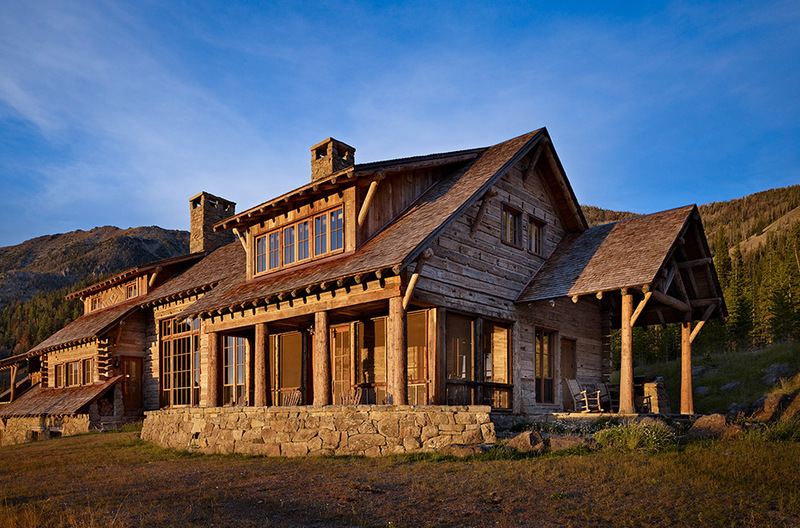 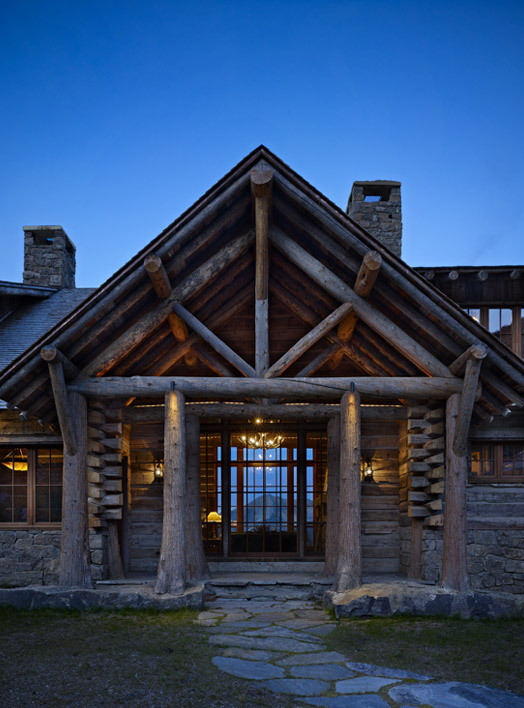 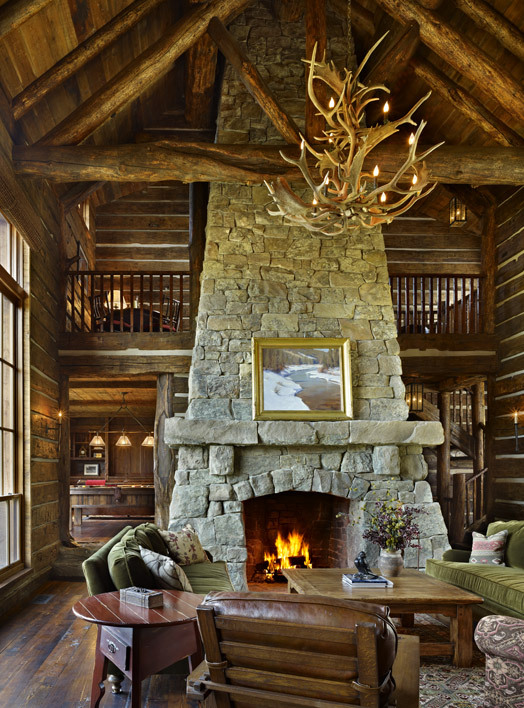 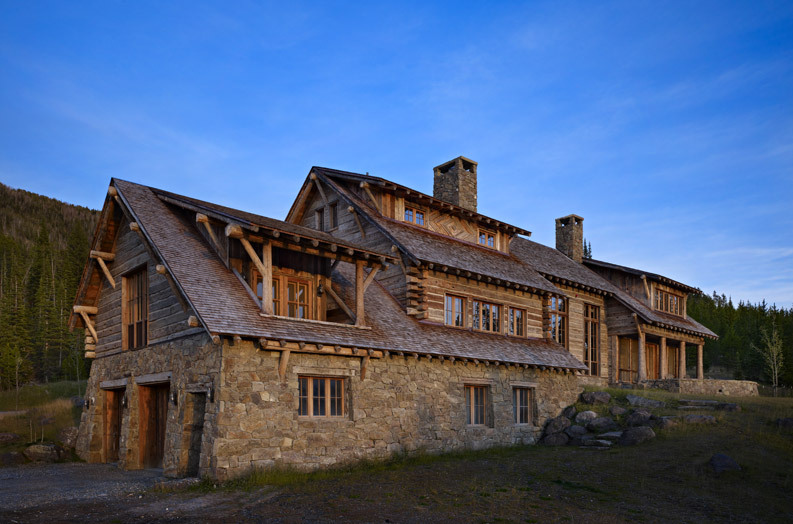 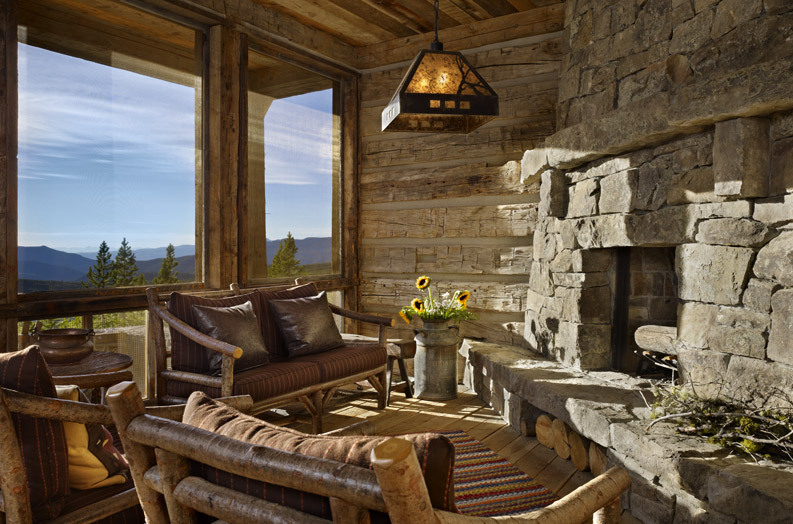 We captured the spirit of Yellowstone National Park in this nearly 8,000-square-foot home designed by Miller | Roodell Architects. 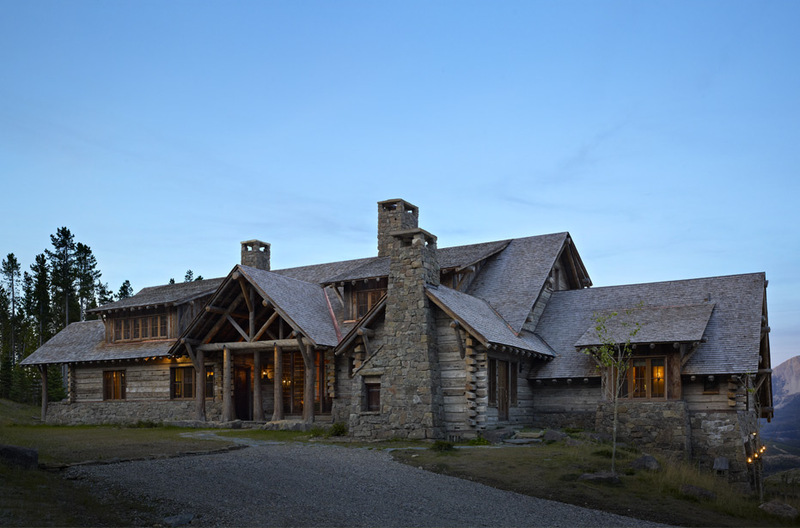 Incorporating indigenous stone and standing dead lodge pole pine sourced from the site, the structure features a cutting-edge rooftop sprinkler system for protection from fires. 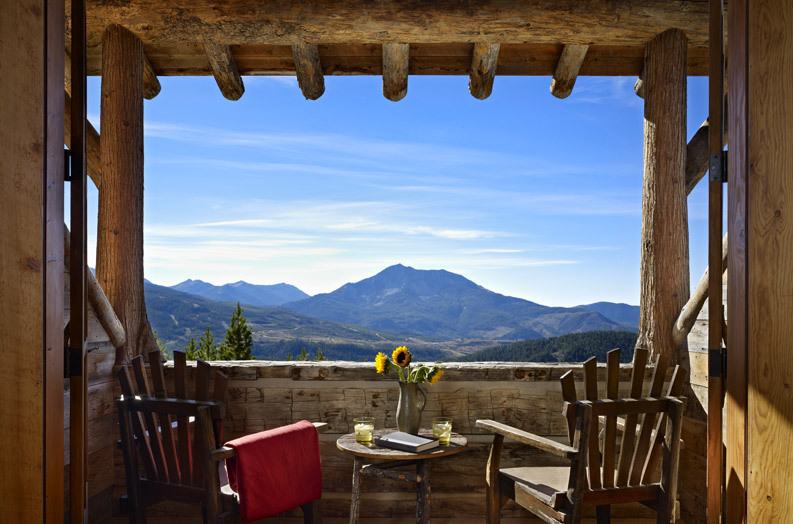 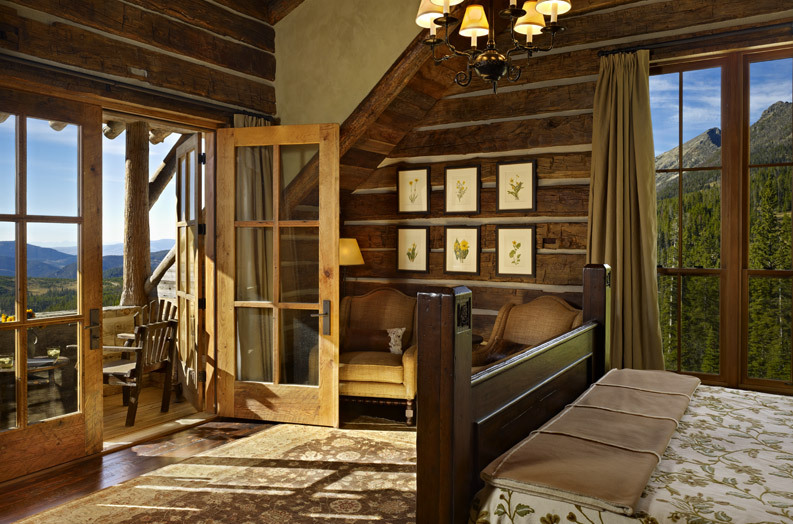 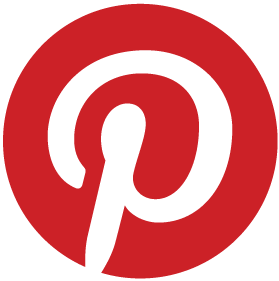 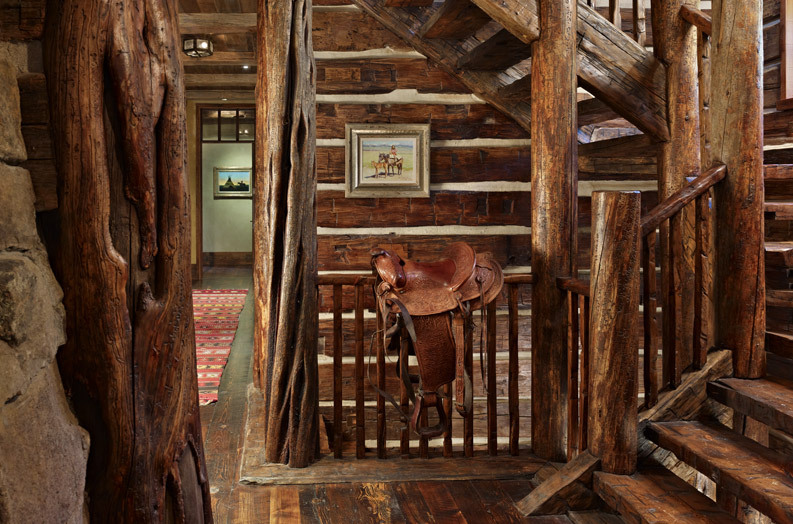 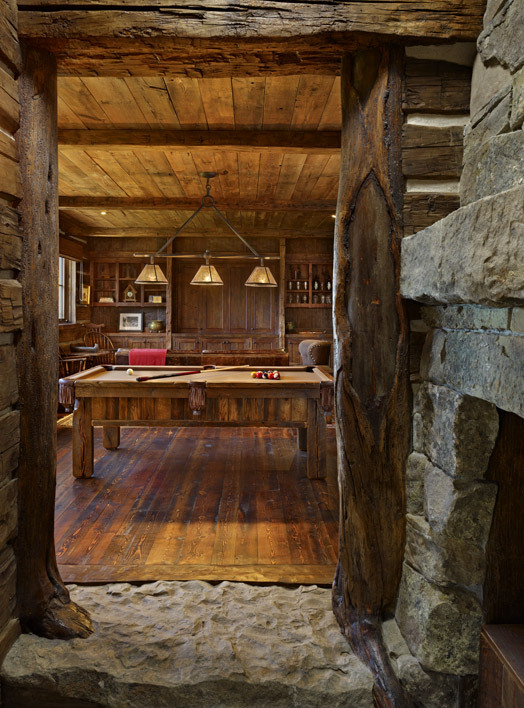 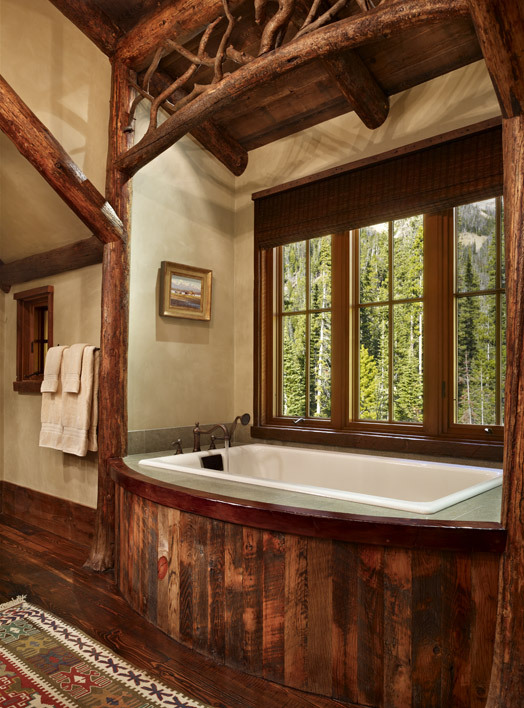 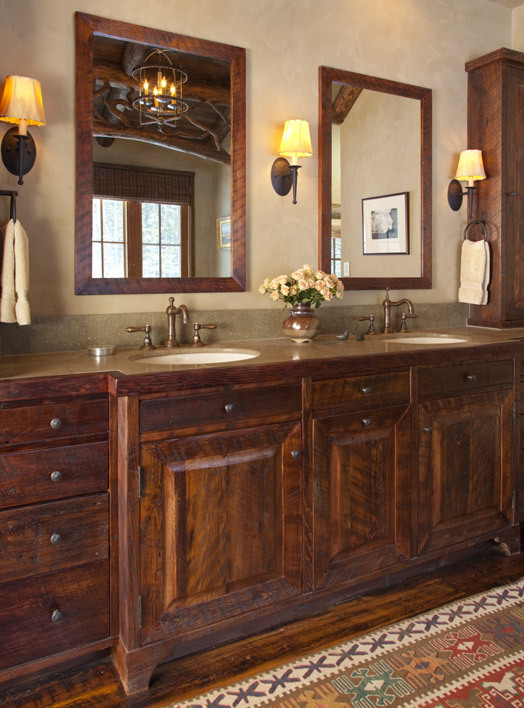 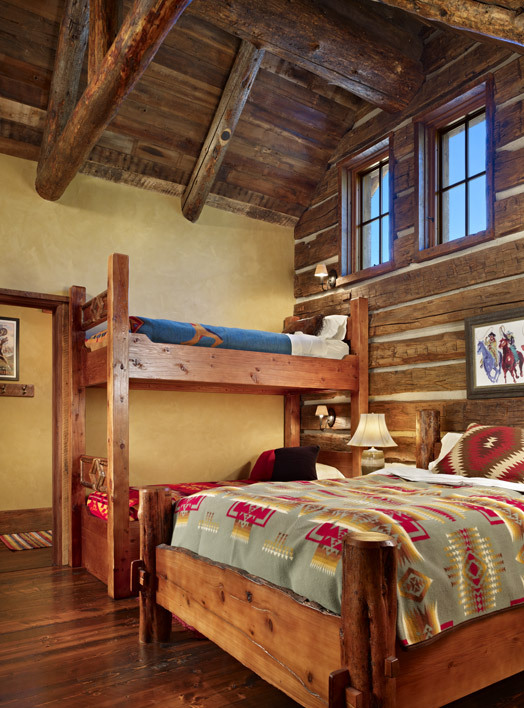 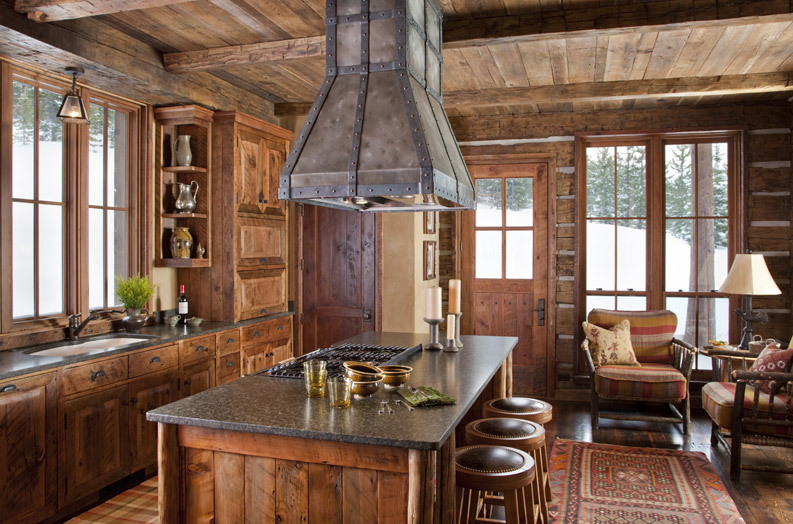 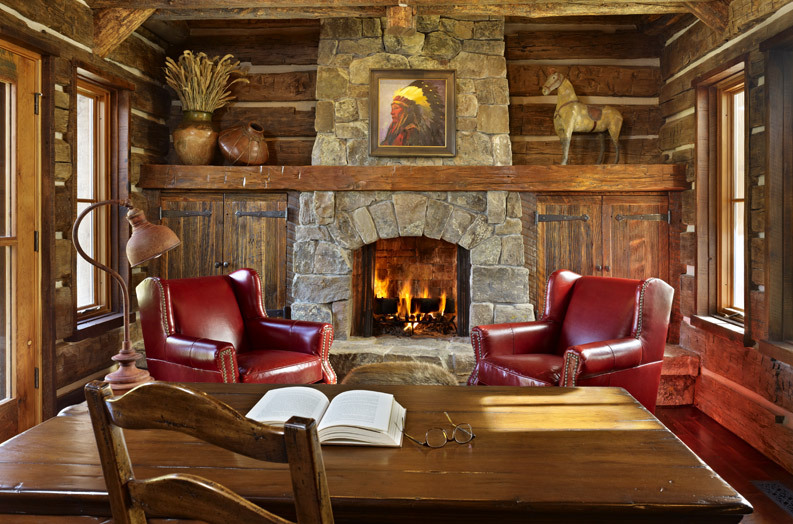 Its interior features custom-forged hardware as well as our handcrafted furnishings and doors.